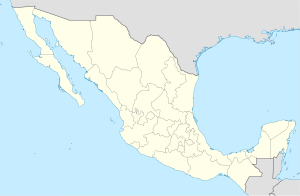 Práxedis G. Guerrero is ane o the 67 municipalities o Chihuahua, in northren Mexico. The municipal seat lees at Práxedis G. Guerrero, Chihuahua. The municipality covers an aurie o 808.97 km² an staunds on the US border close tae Ciudad Juárez. The municipality's name wis given tae it bi the State Congress in December 1983, tae honour the Revolutionary leader Práxedis G. Guerrero, who wis killed in action in Janos, Chihuahua, on 30 December 1910. It wis previously kent as San Ignacio. In 2005, the municipality haed a total population o 8,514, wi 3,431 in the municipal seat. Anerlie five years later, at the 2010 census, these figurs haed declined dramatically tae 4,799 for the municipality, an 2,128 for the municipal seat. Práxedis G. Guerrero haes a vera law population that rarely grows. In fact, hintle o the population, abuin aw those o schuil age, leave for nearbi Ciudad Juárez, due tae the heicher level o economic activity there. The climate is extremely arid, wi vera heich temperaturs in the simmer an vera law temperaturs in the winter, wi extreme recordit temperaturs o 43°C an -23°C. It haes vera law levels o precipitation. Its flora are plants typical o the desert, an its fauna includes species such as the puma or the coyote. ↑ "Práxedis G. Guerrero". Enciclopedia de los Municipios de México. Instituto Nacional para el Federalismo y el Desarrollo Municipal. Retrieved October 19, 2008. ↑ (in Spaingie) Población total por municipio según grandes grupos de edad, 2005 INEGI. This page wis last eeditit on 10 Mairch 2018, at 21:41.